The Arris DC. Image courtesy of The Yards. Philz Coffee, a San-Francisco-based coffee shop, will continue its D.C. area expansion with its second announced location this time at the Navy Yard. Pacers Running also recently signed on in the Navy Yard area opening its sixth D.C. area location in the Boilermaker Shops. Those traders who develop the trading algorithms for the software to trade on their behalf may use other set of criteria which could be a combination of the technical and volume indicators to decide on which asset to buy and at what price. Check the Top 10 Binary Signals website. Identify if there is any requirement of any other application for you to try out this strategy. How do you identify a strategy for technical analysis and a trading system? First you need to find out a strategy or develop your own trading system that you think works for you. Philz–known for its wide variety of fresh, single-origin coffees and customized blends curated over the past 25 years by founder Phil Jaber–has set its sites on the D.C. market for its East Coast expansion. As we previously reported, the chain is also signed on to occupy ground floor space at the Adamo in Adams Morgan. The Navy Yard Philz is slated for the ground floor of the new 327-unit Arris apartment–the coffee shop will occupy 2,400 square feet, fronting on Tingey Street across from the Boilermaker Shops. 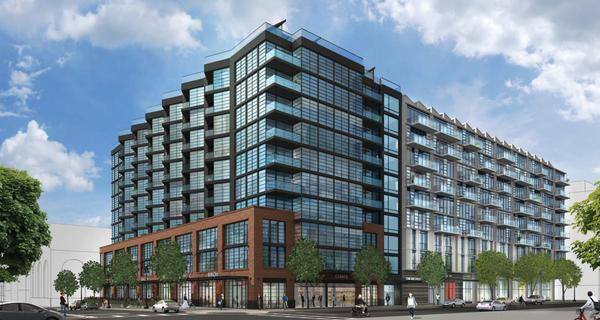 The Arris is expected to welcome its first residents in early 2016– apartment pre-leasing will begin this fall. Philz could open by Spring 2016. The new coffee shop should be a welcome addition for Navy Yard area residents who recently saw the closure of D.C. area chain Buzz Bakery.